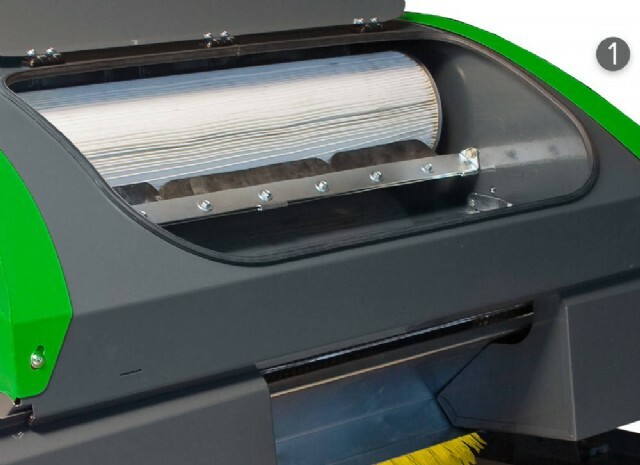 CareMax CM2B can perform several proven functions for the e fficient cleaning and maintenance of infilled artificial turf pitches. Driven by a water-cooled petrol engine with 22 HP the compact machine manages the cleaning and maintenance of a typical sized pitch in relatively short time. Variable settings of the vibrating screen (from 4 to 10 mm) that can be optimally adapted to the conditions of infill guarantee perfect results. 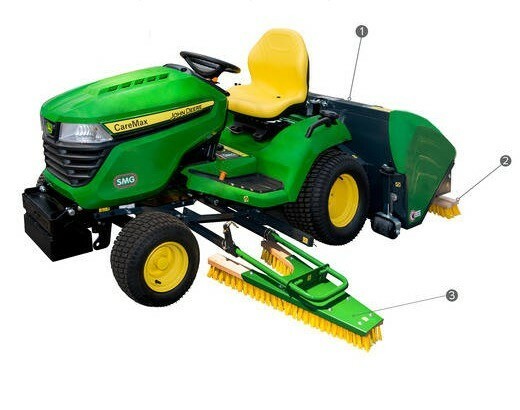 This brush is also depth adjustable. 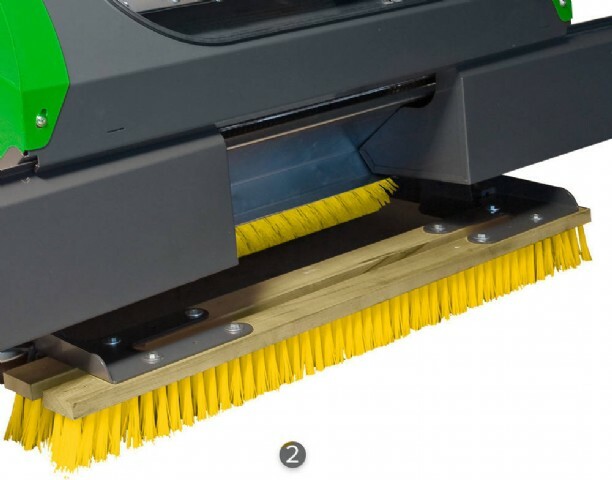 CareMax CM2B is equipped with oscillating suspended triangular brushes mounted underneath the machine as well as a rear-mounted drag brush providing a working width of 2,400 mm. CareMax CM2B and its integrated proven technology will assure that the physical performance characteristics of the artificial turf will be maintained at all times. The rear-mounted accessory can be lifted hydraulically for transport. 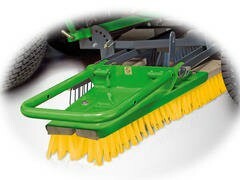 Two guide pulleys/transport rollers enable precise operation along sideboards and gentle storing of the brushes.